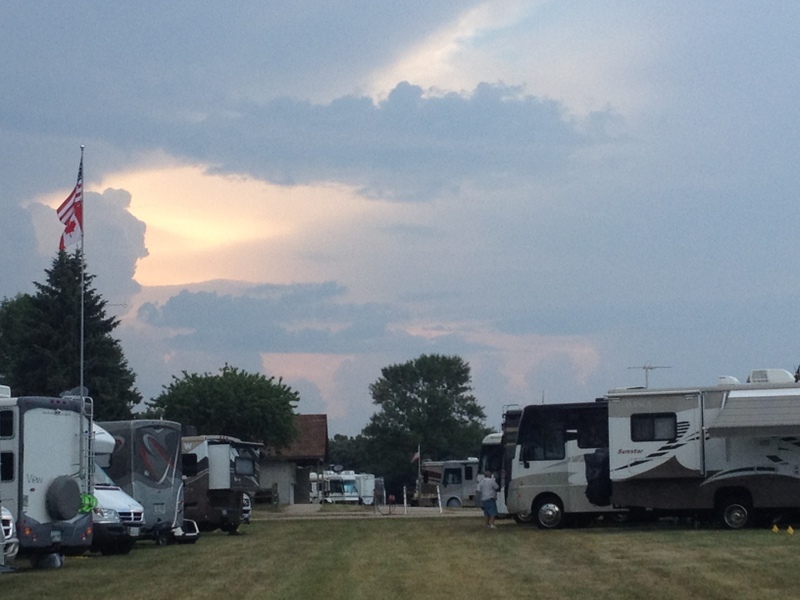 We arrived at the Winnebago Grand National Rally, Thursday around 2:30PM. We will be here for 8 days. It's the only time we ever just sit in one spot along with about 1000 other Winnebago motor homes. We have power so we can run the AC just about full time. Friday was the Lion's Club pork sandwich with corn on the cob dinner in front of the county courthouse, and Saturday was the great Puckerbrush Days Celebration. It started with a parade of some 80 floats (I use that term loosely) that went on for over an hour. We sat on a residential street beside a couple of locals who knew everybody in the parade including their own son so they were able to tell us who was who. They filled shopping bags with candy and 3M sponges that were tossed by the parade participants. It was classic small town. 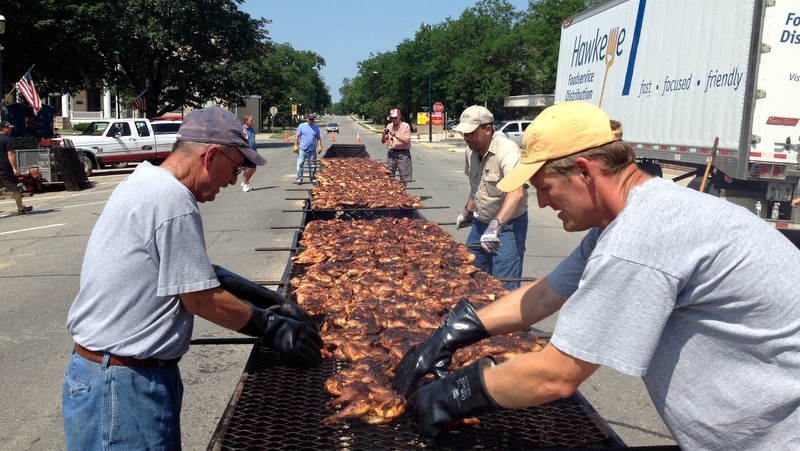 After the parade the Rotary Club cooked up what must have been 1000 chickens. For $8.50 you got ½ chicken, beans, bread, cookie, and a water bottle. It's something our club should think about doing as a fundraiser and community service. That night there were really spectacular fireworks. 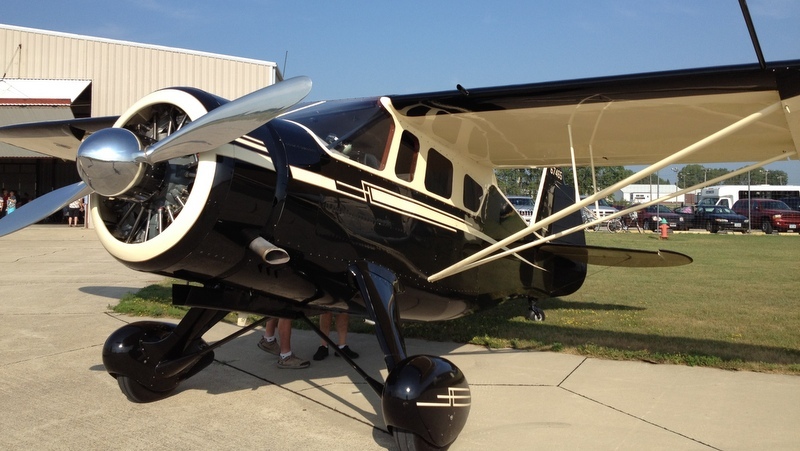 Sunday morning the Police Association had a breakfast in a hanger at the airport. 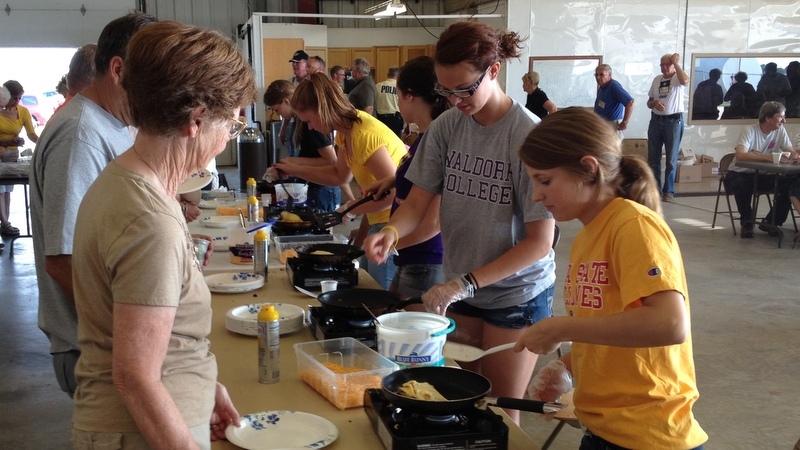 About 10 high school/college girls cooked omelets to order. There was a long line but people got through quickly. Two people at the table I joined flew-in in their own plane. Another man at the table is the father of the Iowa Governor. This afternoon I walked over to Heritage Park where there's an enormous collection of steam and internal combustion old tractors. One steam tractor powered an ice cream maker. Naturally I had to try it and it was very good.